Revington TR together with the TR Register recently re- introduced side repeater assemblies for TR4A, TR5 and TR250. All the lamps have been re-tooled from an original sample. Using laser technology to copy the sample and design the tool the final result is a faithful, high quality reproduction to the highest standard. 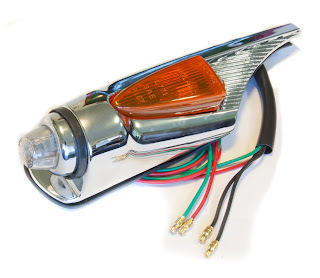 The body itself is made from a modern aluminium alloy with an excellent chrome finish. The main gasket has the correct raised edge and the correct integral grommet on the back. The shape has been corrected to fit the original body shape. The original gasket shape was not the same as the body! 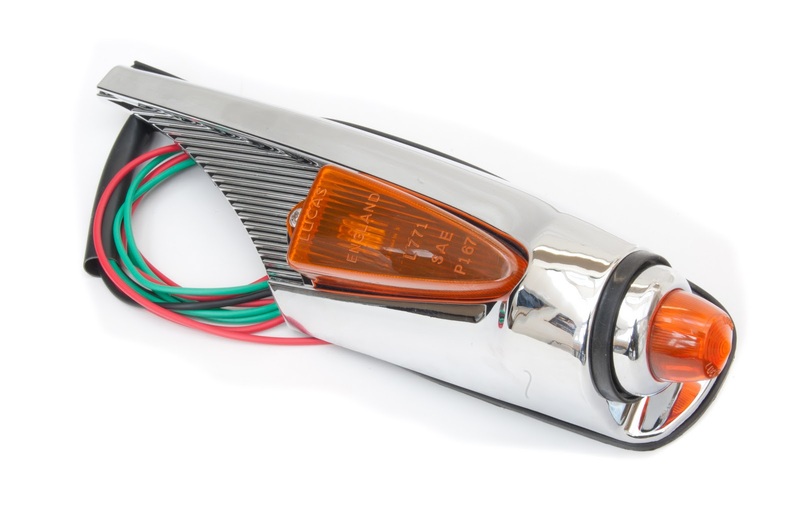 All parts are fully interchangeable with original parts, even down to the bulbs and bulb holders. The attachment studs are ¼” UNF and have been set at the correct angle. The flutes in the main body are identical to original samples. There is the correct number and the bull-nosed ends have been faithfully reproduced. The lamps were test fitted on unused Stanpart wings to verify the fit prior to tooling being laid down. The lamps are supplied, boxed and well-protected, with the appropriate Part Number and descriptive label.